MANILA, Philippines – Yeng Guiao is ready to lead the Philippine men's basketball team to the 2019 FIBA Basketball World Cup, should he be asked to do so by the Samahang Basketbol ng Pilipinas (SBP). Guiao called the shots for the Philippine team that finished fifth in the recent Asian Games in Jakarta, and was tasked to coach the squad as well in the second round of the FIBA World Cup Asian qualifiers. With him in charge, the Philippines lost to Iran last week, 81-73, before rebounding with a 92-81 triumph over visiting Qatar in a closed-door game at the Araneta Coliseum on Monday night. "Siguro, I'll just wait for the formal announcement of SBP, if they would want me to continue coaching," Guiao said after their hard-earned victory over Qatar, which saw the Philippines rally from a 17-point deficit. "Actually ang sabi ko lang naman, kung ibibigay nila sa akin dahil maganda na ang samahan namin, formally, tatanggapin ko naman," he added. The SBP has yet to formally appoint Guiao to the national team post – vacated by Chot Reyes earlier this month – but chairman emeritus Manny V. Pangilinan hinted that it is virtually a done deal. "I think so," Pangilinan told reporters. "I hope, all the way to the World Cup. 'Yun ang objective, 'di ba?" Even without a formal appointment, Guiao made it clear that he was very much committed to the national team program – especially in their quest to make it to the World Cup in 2019. The veteran mentor said he is inspired by the dedication shown by the national team players, who have all made tremendous sacrifices as they serve flag and country. "Nami-miss ko itong mga batang 'to. 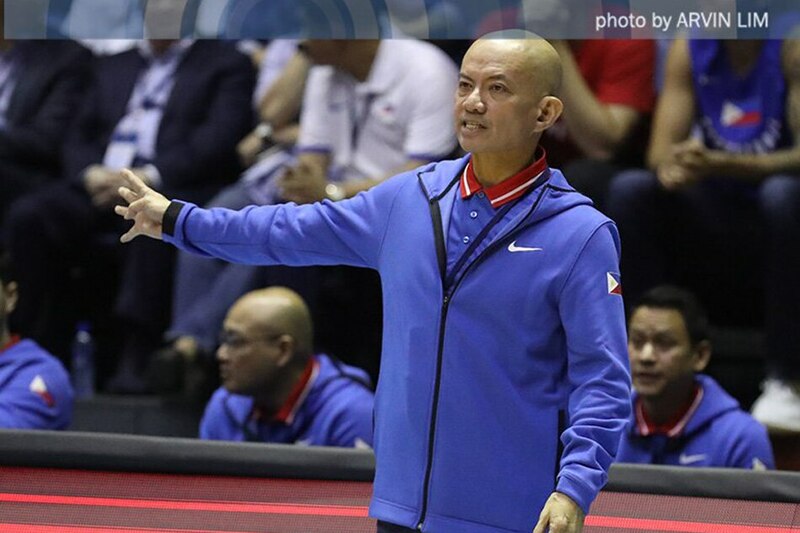 After a while, there's a bond that develops, because nakita mo napuputukan sa kilay, nakita mo dumudugo ang ilong, nakita mo nawawalan ng ngipin," said Guiao. "Nakita mo nagtitiis sila, buntis ang asawa nila, andito sila," he added. "Eh ano ba naman 'yung hirap ko, 'di ba? Walang ano 'yun." "Tapos iiwanan mo, tapos tatanggihan mo? Anong klaseng samahan 'yan, anong klaseng tao ka?" Thus, if given the chance Guiao would love nothing more than to try and lead the Philippines all the way to the FIBA World Cup, which will be held in China next year. "Magsama-sama tayo, subukan natin kung saan tayo makarating," he said. And if he can't get the job done? Then Guiao is willing to step aside. "Ang sinasabi ko rin, 'pag hindi tayo nakarating ng World Cup, at hindi ko nadala sa World Cup, bahala na kayo sa buhay niyo," he said, smiling. "I will walk away, hindi ko pala kaya." "It's really just delivering the objective or kung ano 'yung purpose nito. Bakit ba tayo andito? Gusto nating makarating sa World Cup eh," he explained. "So 'pag hindi tayo nakarating sa World Cup, ikaw ang coach, mag-resign ka. So sabi ko, ganoon ang ano ko. Kung makarating tayo sa World Cup, 'di mag-usap ulit tayo." Pangilinan is confident, however, that Guiao can fulfill the task that was given to him. "We'll get there sa World Cup," said Pangilinan. "I'm confident under Coach Yeng, (we will qualify) sa World Cup." With their 5-3 win-loss record, the Philippines is currently in third place in Group F. They return to action on November 30, hosting Kazakhstan.